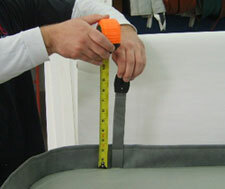 Our spa replacement covers are custom made to your measurements. 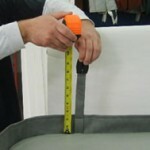 Hot tub covers come in 3 different foam densities – 1.5# is the most popular. The higher the foam density the slower it will absorb water. The higher the density also means it is heavier. We like to go with the 4″-2″ taper. The 5″-3″ is a bit thicker and will be sturdier but it will be considerably heavier. Here is a radius measuring chart. 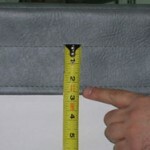 It may be easier to use this or it may be easier to use 2 straight edges like the measure form shows. Either one will work. 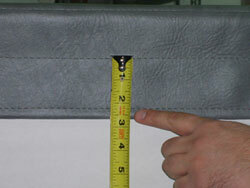 Radius Corners Here is a handy measuring form: Hard Cover Measure Form. Fill this out and either call us at 536-7772 with the measurements or fax to 924-6074. Call with any questions. We are happy to help!